DES-1024R+ 24-Port Fast Ethernet Unmanaged Switch With Open Slot is designed to enhance workgroup performance while providing a high level of flexibility. Powerful yet easy to use, the DES-1024R+ allows users to simply plug any port to either a 10Mbps or 100Mbps network to multiply bandwidths, boost response time and satisfy heavy load demands. 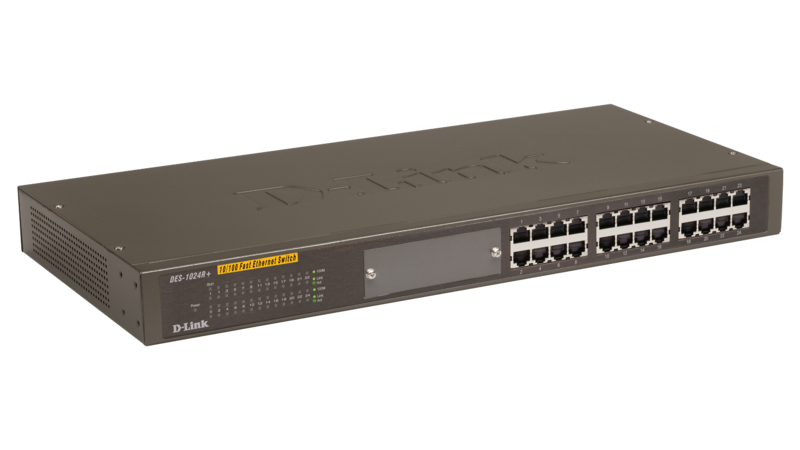 These ports detect the network speed and auto-negotiate between 100BASE-TX and 10BASE-T, as well as full- and half-duplex. All 10/100Mbps ports auto-adjust MDI/MDIX twisted pair cable cross-over, eliminating the need for crossover cables or uplink buttons. You simply plug any port to a server, a workstation or a hub, using the usual straight-through twisted-pair cable. The port will autosense the attached device type and adjust the Tx, Rx pin assignments accordingly before transmitting and receiving data. 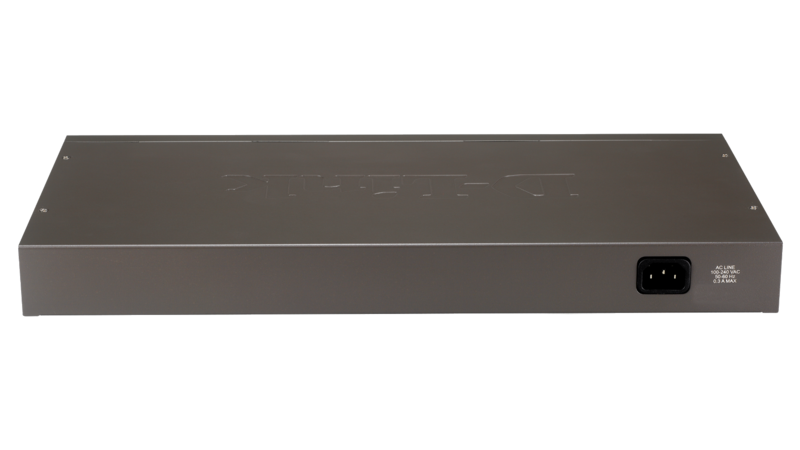 An open slot is provided on the front panel to let you install an optional Fast Ethernet fibre module. This module provides 2 100Mbps fibre ports for 2 server connections or switch-to-switch cascading over the reliable fibre cables, which can be up to 2km long. 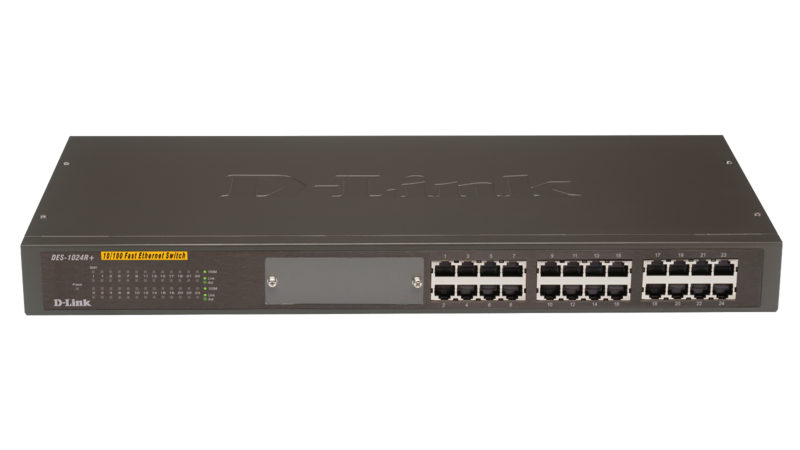 Using flow control (in full duplex and applicable to all 10/100Mbps ports), the switch monitors the buffer status of each port. During peak usage, if the buffer fills to capacity, the switch detects this and signals to the attached node to delay sending new data until the switch can accept it. This operation minimizes the chance of any buffer overrun where incoming data overwrites the current data that has not been completely flushed out of the buffer. This function works with flow control supported Fast Ethernet adapters (installed in servers) connected to the switch in dedicated bandwidth configuration. It can also be applied to switch-to-switch cascading. Cascading 2 switches together to expand the network using the twisted-pair ports is easy. As all 10/100Mbps ports support auto-negotiation of MDI/MDIX twisted-pair cable cross-over, you simply connect 2 switches together without having to find a cross-over cable or to make sure the ports are uplink ports. At 200Mbps full-duplex speed, all ports provide a fast switch-to-switch dedicated bandwidth.